Some old and some new and pink! 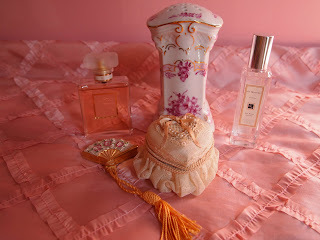 I just got some new scents to wear and they both happen to be tinted pink! We found the hat pin holder at Dupree's Antique mall by the Marietta Square. 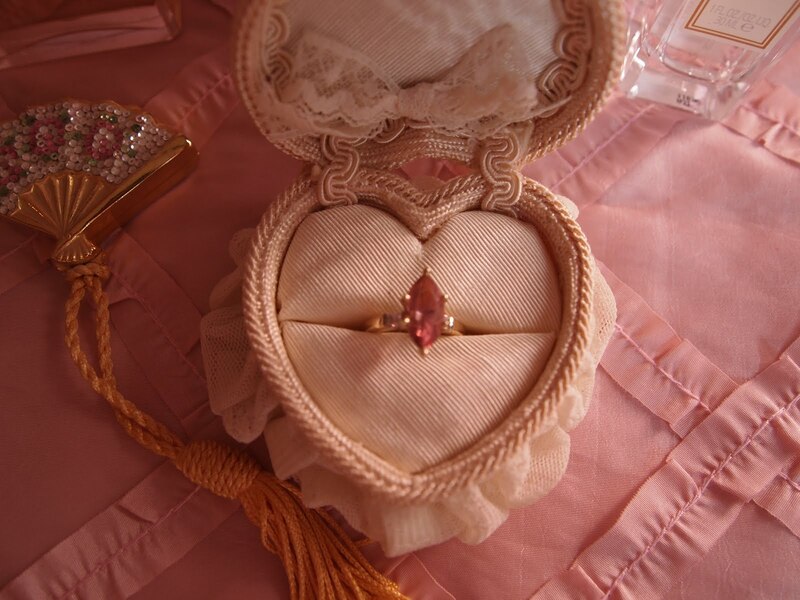 I got the heart box years ago it holds my wedding ring ( a pink tourmaline) when I take it off. You have some pretty pinks! I love your wedding and the pretty little case you carry it in. Lovely! HPS to you and enjoy the weekend. What a beautiful share. I simply adore your wedding ring. 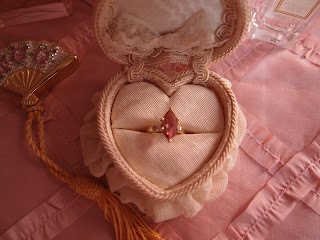 It is absolutely exquisite, and I love that it resides in your gorgeous heart shaped box. That is so romantic. I LOVE it. The hat pin holder is divine. Oh be still my little heart. It is so pretty. Love pink scents. Your shares are beautiful. Love your wedding ring, how unique. It is my birthstone and I have one but not that big. A very lovely post indeed. I love your ring. I had a pink tourmaline at one time, but it was lost in a move. Very lovely indeed and what a nice box to hold it in. 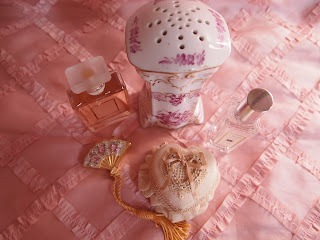 I know this is last week's Pink Saturday post, but so pretty, I had to comment! Lovely pinks!